Is this projector a viable competitor to a big-screen LCD? Over the past few years, “big screen” has increasingly meant “flat panel,” with projection displays relegated into a specific niche. Anker’s new brand, Nebula, hopes to reverse that trend. Nebula’s 0.65-inch digital micromirror device (DMD) throws a 1080p display at a screen up to 100 inches on the diagonal at 3,000 ANSI lumens. The short-throw, front projector sat just a few inches (according to Anker, it must be a minimum of 11 inches away) from the screen, creating what appeared to be a big-screen TV. Officially, the Nebula Laser Display 100-inch will cost $3,000. According to Anker, the Nebula includes 802.11 ac Wi-Fi as well as Bluetooth, though it isn’t a “smart TV” with built-in services like Netflix. It will support AirPlay or Chromecast, however. 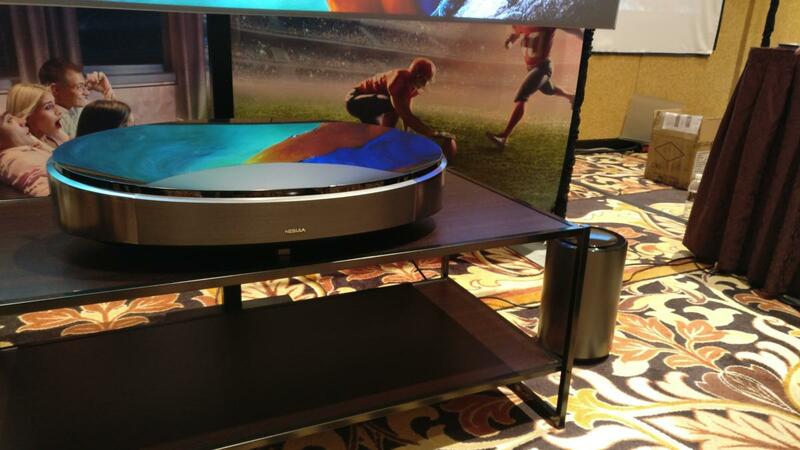 The base unit also includes a pair of 20-watt speakers, plus a standalone subwoofer that puts out 60 watts of power. Nebula’s new laser projector sits alongside its portable cousins to the far right. If that’s all a bit too rich for your blood, Nebula also plans a portable projector, capable of delivering 1280 x 800 resolution at up to 100 inches as well. The specs, though, are more modest: just 700 lumens, and a pair of 5W speakers as well. Naturally, keystone correction is included, at up to 40 degrees. As befitting a company known for its portable chargers, the Nebula Portable Projection Display contains a 21,000 mAh battery good for about three hours of video playback. The projector will cost $599, but no word on ship date just yet. 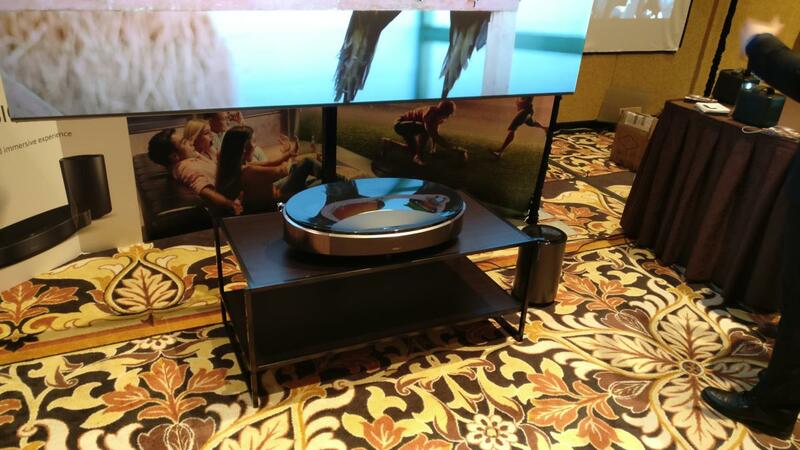 Will Nebula help short-throw projection TVs make a comeback? A $3,000 price makes that premise a little tricky to support. But even 75-inch LCDs can cost upwards of $2,000. Time will tell whether or not Nebula can make its mark.